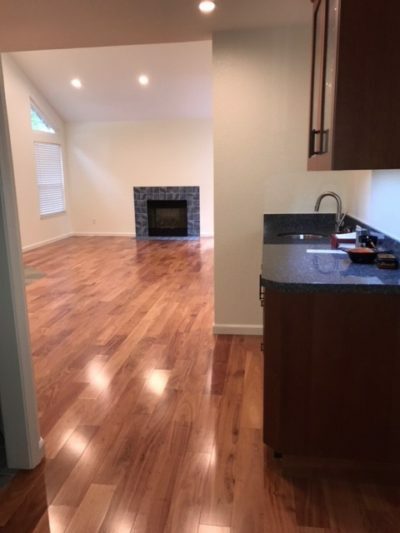 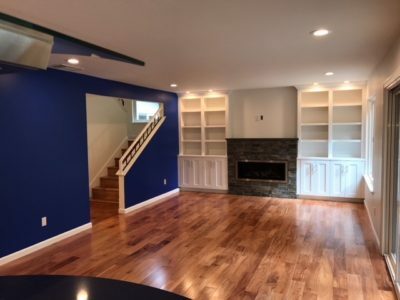 River front Pocket Area home takes on a full 1st floor remodel, including the kitchen, powder room, laundry room, wet bar, and living/family room. The kitchen’s design boasts Hanstone Quartz and Granite Slabs. 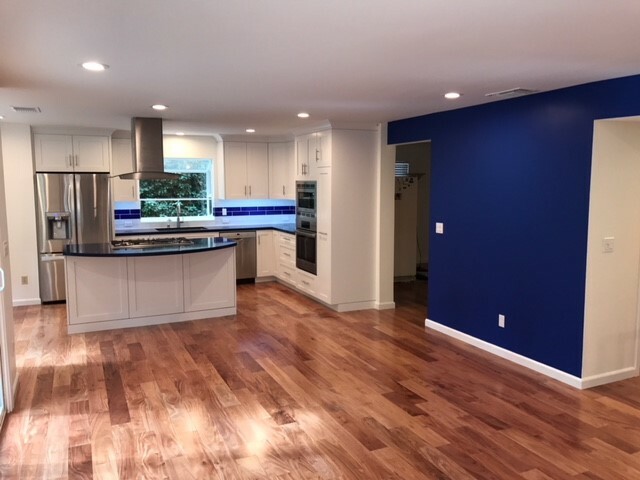 The appliances consist of a sleek microwave drawer and an oven combo along with the island installed gas cook top and floating Milano glass canopy kitchen hood. 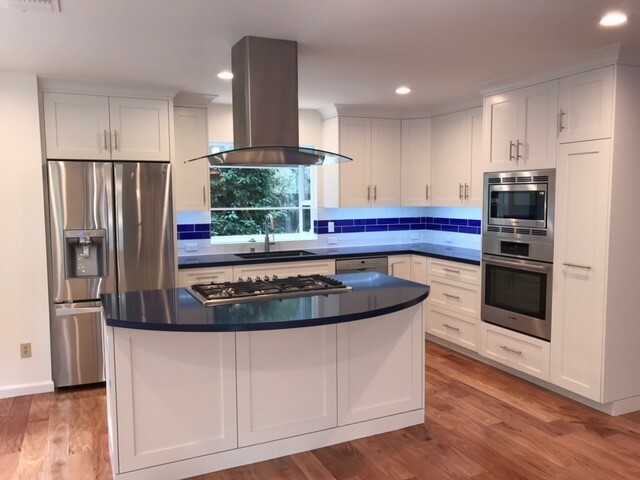 Bright blue and white staggered subway tile backsplash “pop” against the shaker door cabinetry. 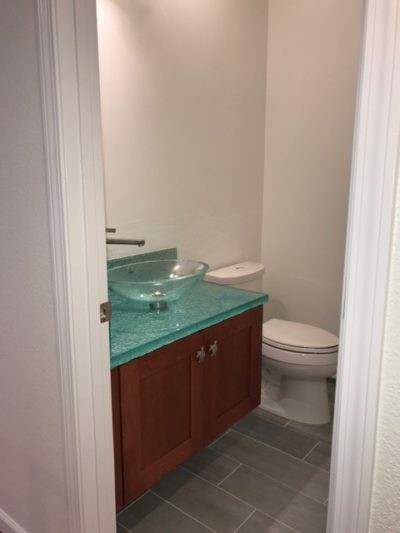 The half bath is countertop is a special ordered Aqua Clear Glass with a melting ice texture along with glass basin vessel sink. 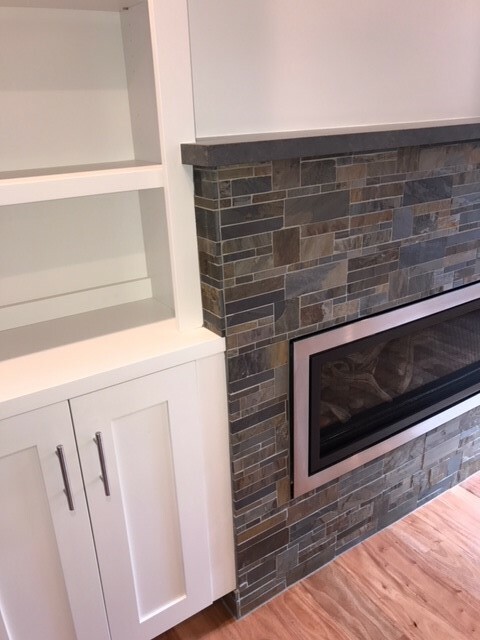 We updated the fireplace with a brushed chrome Mendota Zero Clearance Gas Insert and solid stone surround mantel. 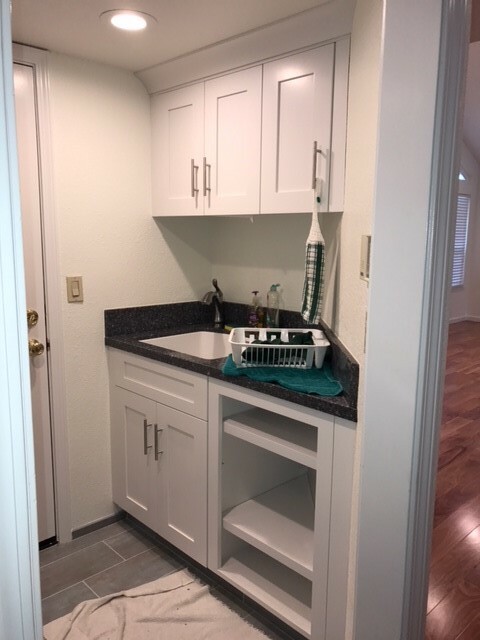 The laundry room has updated bright white cabinetry installed with a stacked washer/dryer combo and several niches for storage. 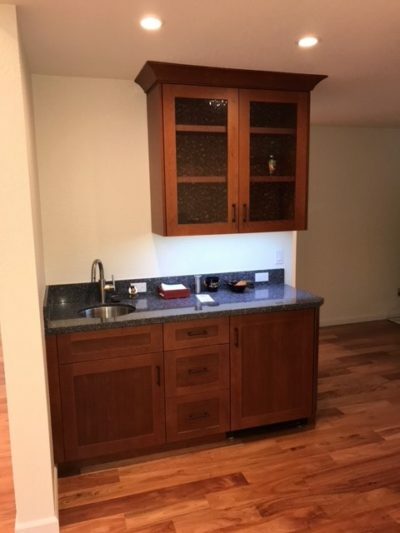 The newly installed wet bar has a solid surface granite countertop and Cherry shaker doors on the bottom cabinetry and water glass doors on the upper. The wet bar completes with a Mirabelle under-mount stainless steel sink and U-Line Beverage Center. This 1st floor remodel included the 2nd floor stairs, receiving a contemporary metal silver finish railing and glass panel sides and new wood flooring throughout.